Crazy 8's: 4 Challenging Workouts To Kick-Start Your Growth! Jump-start stale training and spur new muscle gains with any one of these 4 challenging "Crazy 8" workouts that are anything but ordinary! 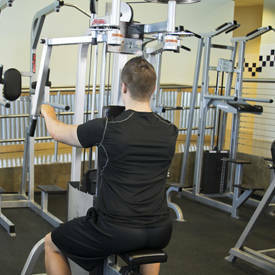 When you're a beginner just getting into the iron game, anything and everything seems to work in your efforts to build muscle. When you become more advanced, however, it's just the opposite: Gains come slowly, and only with a smart approach to your training. But rather than throw in the towel, it's time to adjust your thinking about why some approaches are successful and others aren't. 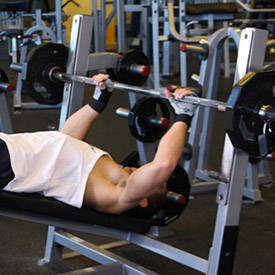 You already know that building muscle requires a training stimulus. 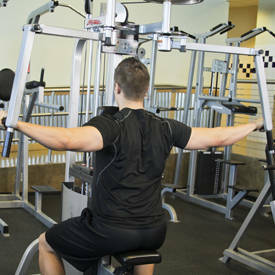 Add nutritional support and rest, and your muscle fibers respond by growing bigger and stronger. That adaptation continues for a while, but ultimately it slows and you reach a plateau—a no man's land of zero gains. Here's your proverbial fork in the road: You can either continue to do what's no longer working—the very definition of insanity—or you can change the training stimulus to something novel and unique your muscles are unaccustomed to. In other words, with a little creativity, you can inject some variety into your training and create a new stimulus that once again allows you to make gains like a beginner. With that in mind, here are four challenging ways to introduce some fresh madness into your workouts that'll goose your training and boost your results. If you're ready to build muscle like a beginner again, give any of these challenges—all centered on some variation of the number 8, which is why they're called "Crazy 8s"—a shot! In the 1960s, one of the top trainers was Southern California gym owner Vince Gironda. He was the guy top bodybuilders sought out if they were stuck in a training rut or needed to break a plateau. One of his most popular methods was 8 sets of 8 reps, which he designed specifically for bodybuilders whose goal was to build muscle size and lose fat. The high volume of work done with just a few exercises with fairly challenging weights seemed to be the perfect recipe for gains in muscle and losses in body fat. 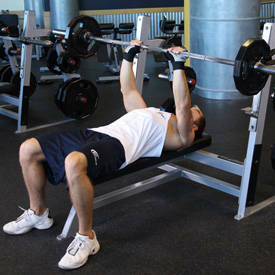 It's really quite simple; just pick three exercises and perform 8 sets of 8 reps. 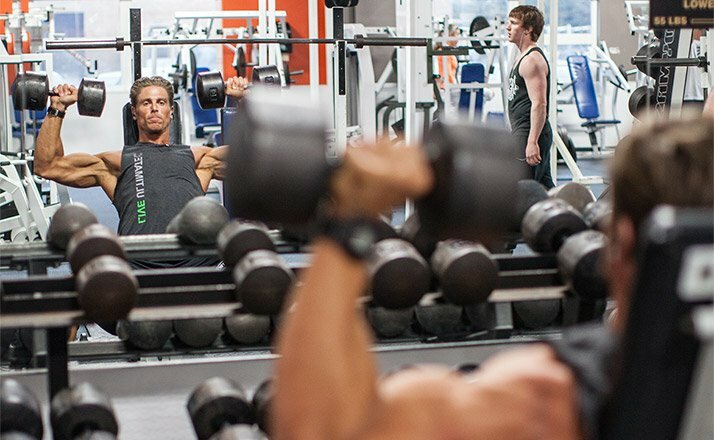 Choose a weight that's roughly your 12-rep max, but stop all sets at 8—don't do more, even if you can. 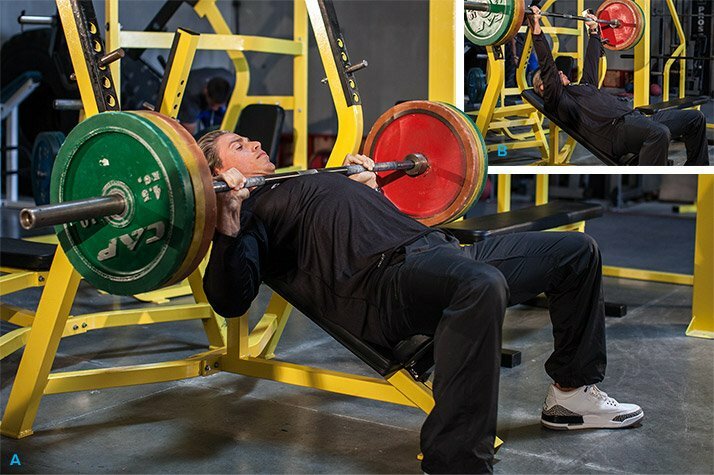 At first, you won't be able to complete all 8 reps on your later sets, but this approach will boost your strength over time so that you eventually can. What made Gironda's method really challenging were the strict 30-second rest periods. Stick to 'em if you really want some crazy growth! This challenging leg workout may not take you longer than an hour to complete, but you might need a week to recover. Many people train with little thought to the quality of the positive (lifting) or negative (lowering) contraction, simply pushing as fast as hell to get the set over with. 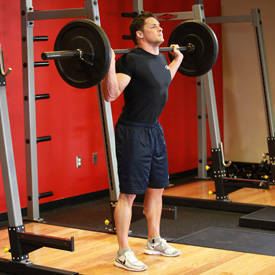 But just because you do 8-12 reps doesn't mean they're quality reps. 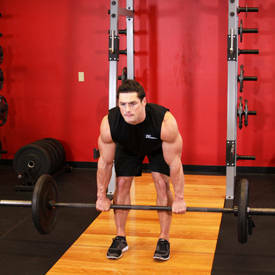 Some exercise scientists measure what's called time under tension (TUT), or the speed of your reps. For building muscle, you want a set to ideally last 40-60 seconds. So those super-fast reps may not be pushing you into the ideal muscle-building zone as measured by the clock. This week's challenge is to take four seconds on the concentric contraction and another four on the eccentric. So let's slow things down a bit to ensure you're maximizing your TUT and doing quality reps, both going up and coming down. This week's challenge is to take four seconds on the concentric contraction and another four on the eccentric. 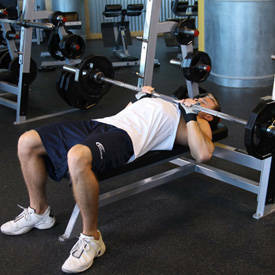 Each rep should take precisely eight seconds. 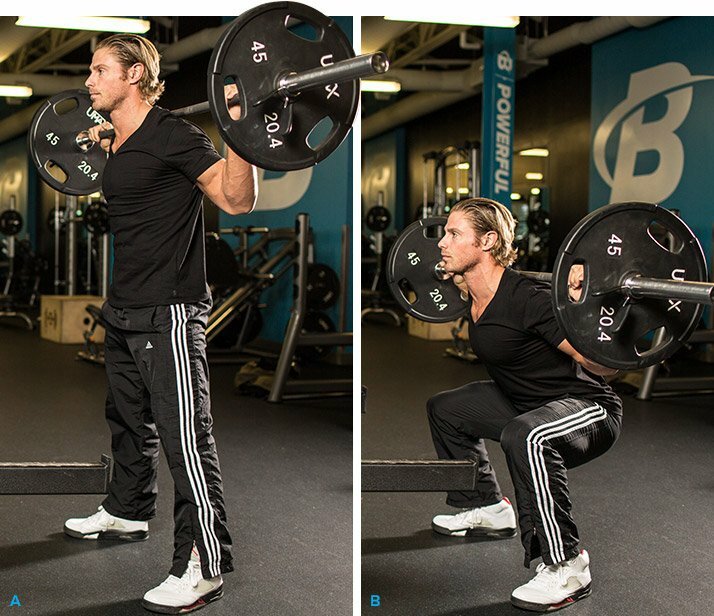 This means you have to not only lift the weight, but have total control over it using a slower, less-explosive motion than you normally would. 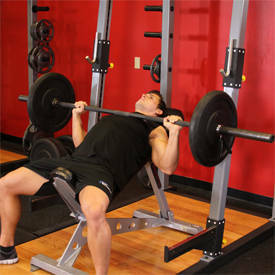 If each rep takes eight seconds, you want to complete 6-7 reps to fall within the optimal TUT range. Be humble and go light, because you're probably not going to be able to handle the normal poundage you're accustomed to. 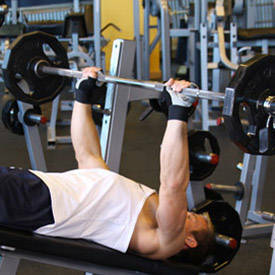 Guess what: It's Monday, so it must be chest day! 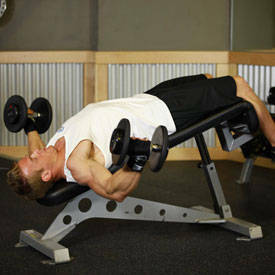 Rather than take a number at the bench-press station, let's change things up a bit by supersetting two chest exercises: a multijoint followed by a single-joint move. And we'll even flip the last one so you'll do the single-joint first. That's four pairs of exercises in all, or eight total movements. 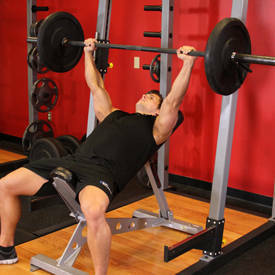 A superset means doing two movements back-to-back with no rest in between; you rest only after you complete both, which counts as one superset. Starting with a multijoint press allows you to recruit additional muscle groups so you can lift heavier at the top of each superset. 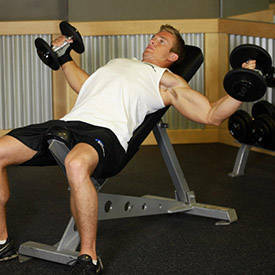 Then, a single-joint move helps you target and really fatigue your chest. Doing supersets allows you to complete more work in less time, which is ideal if you're on a crunch. But it also does something completely different: it alternates press-and-fly movements in your routine. Normally, you probably save your fly movements until last, but not here. You'll generate a more intense pump with this kind of training, but expect your strength to trail off toward your third superset. Just make sure to grab all the equipment you need for each superset before you get started, which in some cases might mean grabbing two sets of dumbbells rather than just one. 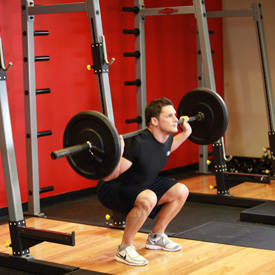 If you're like most of us, you want to finish your workout with a bang rather than a whimper. One unique way to do that is by applying Tabata training principles to your routine. Tabata requires you do 8 sets of all-out movement for 20 seconds, interspersed with 10-second rest periods after each set. It's a type of interval training that, when done as the last exercise of your weight workout, can deliver an incredible pump. What's so intense about Tabata? For one thing, you complete the entire shebang in just four minutes. The intense pump engorges the muscle with fluids that not only brings in nutrients while stretching the muscle fascia, but the intensity has also been shown to temporarily boost growth-hormone levels, and GH is both anabolic and lipolytic (fat burning). To get the biggest effect, use Tabata with a multijoint exercise that recruits the largest degree of muscle mass, but one that's easy to get into position for. Because you're going nearly all-out, a machine movement might be safest because it allows you to maintain better form as you fatigue. Choose a weight in which you can do about 12-15 reps with good form, but you're doing it for time, not reps. And make sure you use a timer to do it right!